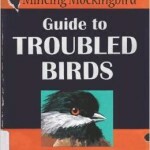 Guide to Troubled Birds is the rare funny bird book that illustrates what any birder secretly knows: a lot of birds are jerks. What to do with cocoons falling from late winter trees? Dreary winter is a great time to find cocoons in trees or on the ground. 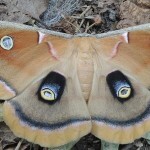 I found a luna or polyphemus moth cocoon and am anxiously awaiting its emergence. Turns out there’s a huge online market for cocoons among moth and butterfly breeders. Keep reading What to do with cocoons falling from late winter trees? The latest animal research seems to prove that animals are sexually and morally freaky in ways we never imagined. This book turns biology into fun sideshows. 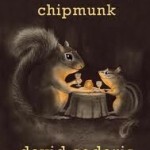 Not the usual funny David Sedaris book. Or the usual animal book. The squirrels, birds and chipmunks are prejudiced, dull and petty, just like people. Literary agent Pamela Brodowsky people who travel to see animals will want have to dream about travel adventures. Destination Wildlife: An international site-by-site guide to the best places to experience endangered, rare and fascinating animals an their habitats gives you places and animals to aspire to see around the globe. The book is exactly what you’d want to have on hand through a cold winter weekend when you’re dreaming about where you could travel next year. You’ll need some other books to get into the specifics of travel to all those destinations, but this is a nice way to browse your options. Written with the National Wildlife Federation, you can be pretty sure these are ways to see animals that aren’t going to hurt or exploit them. 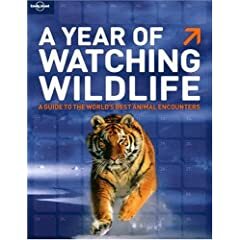 Lonely Planet’s new A Year of Watching Wildlife: A Guide to the World’s Best Animal Encounters is one of those books any animal tourist is going to want. Gorgeous glossy photos show you schools of stingrays swimming from underneath, howler monkeys mid-howl, puffins with icicles hanging from their bright beaks. The conceit of the book is that it’s a calendar. 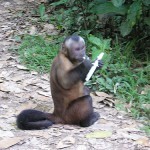 Lonely Planet gives you animals to see in every week of the year and a semi-plausible reason why they picked that week. 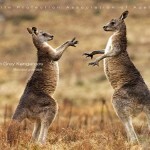 Lots of the rationales are compelling, reasons like mating or baby season. But the calendar conceit gets a bit worn for all those animals that don’t really have a peak week to watch. We’re reminded how random travel advice can be with the push “You should visit [Andean condors in Peru] in April for good weather and to avoid the tourist season.” True enough, but there are big hunks of the year that applies to. Also, the book tells you to try to see them at Machu Picchu, acknowledging that you’re far more likely to see them at a canyon hundreds of miles away, but that “pales in comparison with the experience of seeing one of these ponderous birds towering over the ancient Inca city.” Or it would if you actually saw one there. The book is a nice t’s a nice fantasy wish list, compiled as if you’ve only got a year to live, unlimited funds and all you want to do is see animals.